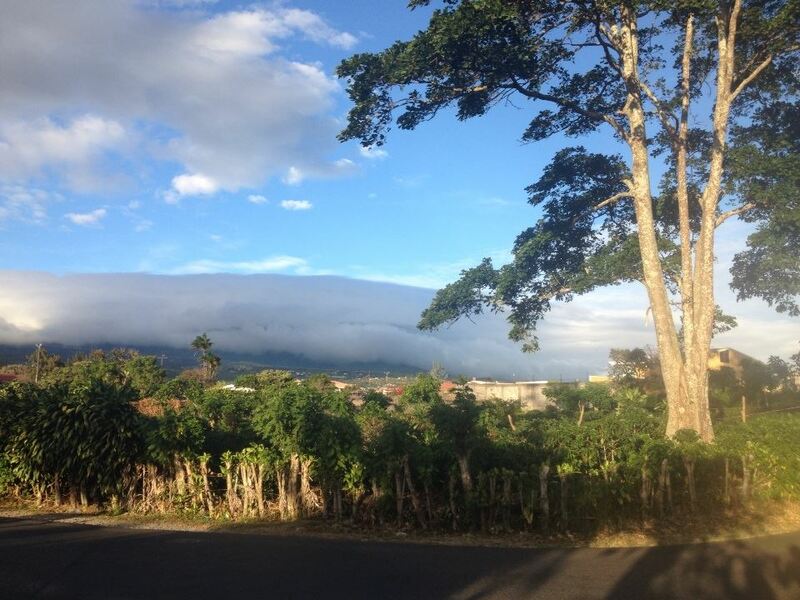 A view from my ‘other’ home town, San Pablo, looking toward the mist-covered mountains of Costa Rica. Last week was a silent week for me on the internet. No Facebook posts, nothing on Twitter, certainly no WordPress updates. I checked my email twice and managed to send out three messages. I wish I could say my absence was due to some great adventure like hiking into Corcovado National Park. Unfortunately, I was dragged down by a very different sort of tropical challenge: a battle with a nasty stomach virus. Two trips to the hospital and lots of fluids later, I’m well on the road to recovery. There’s nothing to make you appreciate good health like encountering an intense and debilitating microbe. Thank goodness for modern medicine, and most of all, thank goodness for IV therapy. Coming off the illness, I had to pack my bags and hop a plane for the United States. My sabbatical isn’t quite finished, but my very long and indulgent stay in Costa Rica has come to a close. [sigh] Returning to my home in Kansas City was definitely bitter sweet. I wonder how many other people out there have lived this experience of leaving home to return home? I do it about every six months, and have done it for many years now. The feeling never changes. Sadness upon leaving home mixed with joy upon returning home. All in the same day, the same moment, the same set of circumstances. 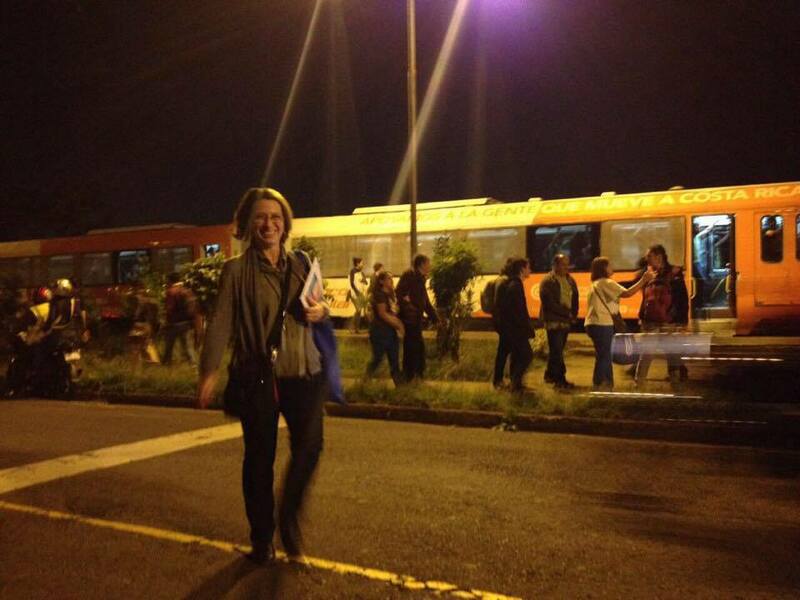 I was a regular commuter on Costa Rica’s intercity train. I’ll miss those train rides. Fortunately, Kansas City’s new trolley service is starting up this year. I miss the fresh tropical fruits of Costa Rica, its delicious beer, and rich coffee. I miss the mountains and verdant forests and warm beaches. I especially miss the people, their lively chatter and giving nature. I kind of miss the train, too. But I don’t miss the traffic. In Kansas City, I love my quiet neighborhood, and having the parks and bicycle trails nearby. Last night I binge-watched all my favorite Monday evening TV programs, which I’d been away from for nearly three months. I look forward to working in my garden today, especially with the spring weather so lovely and all the trees leafing out in fresh, pale shades of green. I adore the big skies of the Midwest and the extended twilight as we head into summer. I have a lot of news and new adventures to share in the coming weeks. ConQuesT is just down the road at the end of May. Shortly after that I’ll be attending the Campbell Conference at the University of Kansas. The Association for Tropical Biology and Conservation will hold its annual meeting in Honolulu in July, and once I’m back from that we will be hitting the road to see some of the great National Parks of the U.S. before the summer is out. In the virtual world, I have a blog tour coming up May 18-June 15, to celebrate the release of the audio edition of High Maga. I’m a little late with this party – the audio book was released last December – but we’ll make it a good one nonetheless. There will be posts and interviews with the inside story on High Maga and audio book production. I will also be hosting a giveaway with great prizes. So stay tuned! It will only get better from here. You’ve been a bit busy since December, no? So glad you’re well again, and that it won’t ruin VAB for you! Can’t wait to see you.